Cinnamon (Cinnamomum zeylanicum) has a spicy aroma and is considered a base to middle note. It blends well with frankincense, orange, and peppermint, forming a lovely seasonal scent. Medicinally, cinnamon has antiseptic, antispasmodic, and bactericidal qualities, making it an effective air purifier. Blend cinnamon with some of our other favorites (like clove, lavender, and peppermint) to create a room spray that’s both seasonal and germicidal. 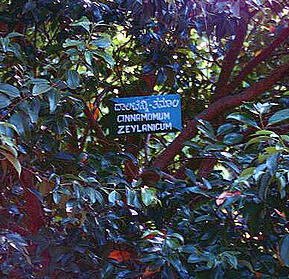 Clove (Syzygium aromaticum) was an important commodity for the Greeks and Romans and was heavily traded. Clove bud oil has been shown to inhibit the production of free radicals and to have anti-inflammatory and antiviral properties. Recent studies have highlighted its use especially for oral hygiene. It's a good oil for travel! You can add 2 drops of the essential oil to 1 cup of water to make an on-hand mouthwash. For aromatherapeutic blends, clove imparts a fresh top note and blends well with bergamot, lavender, vanilla, and ylang ylang. Eucalyptus (Eucalyptus globulus) is a versatile essential oil and another good oil for travel. In addition to its analgesic properties, natural pain relieving and soothing action, eucalyptus is antibacterial, antiviral, antiseptic, and a useful respiratory support. For an immune support (use with adults and children older than two), you can add 1 teaspoon of eucalyptus oil to a pan of water; leave the burner on low so the vapor diffuses during the night. You can also use eucalyptus with a vaporizer or diffuser to achieve the same effect; the vapors will help break up mucus and reduce coughing. Tea Tree Australia (Melaleuca alternifolia) is prized for its antibacterial properties. It has been shown to be effective with mouth sores and also helps promote healthy skin. Though tea tree Australia has a somewhat medicinal aroma, it has a sweet middle note and soft tones as it dries out. Tea Tree Australia blends well with bay leaf, bergamot, black pepper, cajuput, cedarwood atlas, cinnamon, clove bud, elemi, ginger, juniper, lavandin, lavender, nutmeg, peppermint, rosemary, sandalwood, thyme, and vetiver. opoponax, patchouli, rose, sandalwood, violet, and ylang ylang. It is considered a perfume fixative. Which of these five essential oils is your favorite and why? Be sure to post a comment. We'd love to hear from you! Want to learn more about aromatherapy? Click to read our blog article Aromatherapy for Self-Care by ACHS President Dorene Petersen. *This information is intended for educational purposes only. It is not intended to diagnose, treat, cure, or prevent any disease. Always consult with your primary care physican or Registered Aromatherapist before making any changes to your health and wellness routine.